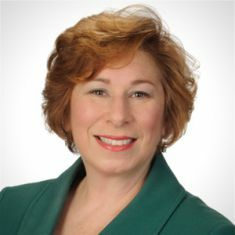 Marcey Alter is a healthcare and human services professional with extensive experience spanning the public healthcare arena throughout the United States. She has provided guidance and led projects related to disability, aging, and behavioral health in multiple states. Her service in the State of Georgia included leadership roles in Medicaid operations and policy governance, long-term services and supports and infrastructure development, and disabilities advocacy and promotion. At HMA, Marcey taps her subject matter expertise in home and community-based services (HCBS), long-term services and supports (LTSS), and behavioral health to assist clients with proposal writing and preparation, strategic program and benefit coverage design, and policy development. She has conducted primary and secondary research and designed program evaluation approaches. Marcey is interested in helping states/providers ready themselves for electronic visit verification, in implementing other quality control and cost saving mechanisms, and in providing consultation and technical assistance to clients to address strategic, operations, and overall business performance needs. The foundation for Marcey’s commitment to human services began with the Georgia Governor’s Council on Developmental Disabilities. As program director, she played a key role in promoting best practices for community integration and self-determination. As contracts manager with the Georgia Office of Developmental Disabilities, Division of Mental Health, Developmental Disabilities, and Addictive Diseases, Marcey was helped lead Georgia’s systems change initiative to engage third-party intake and assessment evaluators and support coordinators for all community-based services. She provided oversight regarding level of care determination, diagnostic evaluative documentation, service plan development, and support coordination (case management) while participating in quality assurance and improvement processes. Marcey has worked as an independent consultant and was also affiliated with the Consortium on Innovative Practices, an organization that supports innovative approaches and practices in the field of human services through research, policy analysis, training, education and advocacy that brings together appropriate resources and stakeholders to address each unique human service issue. She has conducted a statewide mental health gap analysis for Georgia, supported policy development and implementation of Alabama’s Cash and Counseling program, helped launch an agency-with-choice consumer-directed program in Texas, led strategic planning for a New York effort on spiritual inclusion for individuals with developmental disabilities, and spearheaded the research and planning for a Medicaid buy-in program in Alabama. Most recently, Marcey oversaw fee-for-service and managed care Medicaid operations for the Georgia Department of Community Health. She led a team of more than 50 to administer multiple programs, implementing federal regulations and rules. During her tenure as assistant chief of Medicaid for policy and provider services, Marcey led multi-agency planning for implementation of a new set of benefits for children with Autism Spectrum Disorder. Marcey also co-led the development and launch of a new managed care plan for children in foster care, receiving adoption assistance, and involved in the juvenile justice system. She was also responsible for developing the state’s response to the Home and Community-Based Services Settings Rule and implementation of the resulting Statewide Transition Plan. Marcey obtained her undergraduate degree in business management with a concentration in marketing at Tulane University in New Orleans, Louisiana. She completed both her Master in Business Administration and Master in Health Administration in 2003 at Georgia State University.